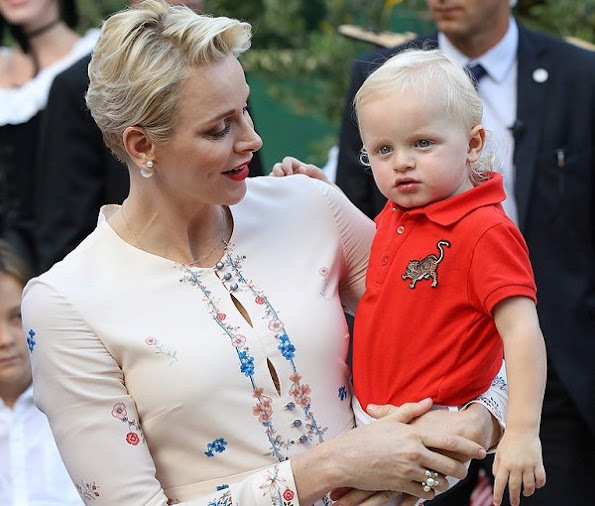 On September 10, 2016, Prince Albert of Monaco, his wife Princess Charlene and their son Prince Jacques attended the annual picnic events (Pique Nique Monegasque ) held in the Princess Antoinette Park (Le Parc Princesse Antoinette ) in Monaco. Little Jacques has such beautiful eyes. Adorable child with a calm and connected affect in these pictures. Charlene's dress is delicately elegant. Really like her style these days. Beautiful family and beautiful baby. Absolutely gorgeous child. 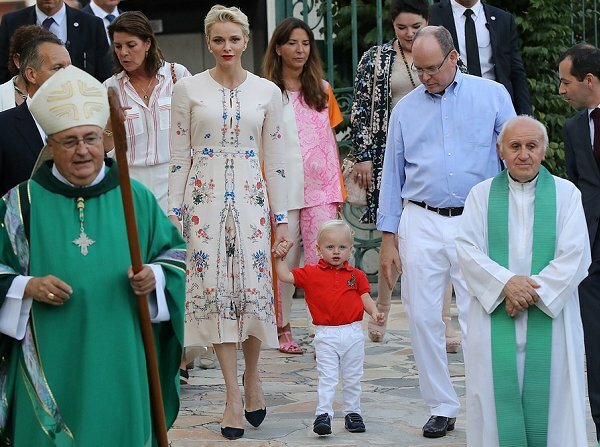 Charlene has some absolutely winning dress choices lately. Father and son dress alike so cute and mum's lipstick match the shirt of this adorable blue angel. What a beautiful family. Little Jacques is gorgeous, Albert looks proud and Charlene is her beautiful and self. But where is the little princess? wat een mooie prinses,en d,r zoontje wat een schat om te zien !!! een hele gelukkige familie !!! 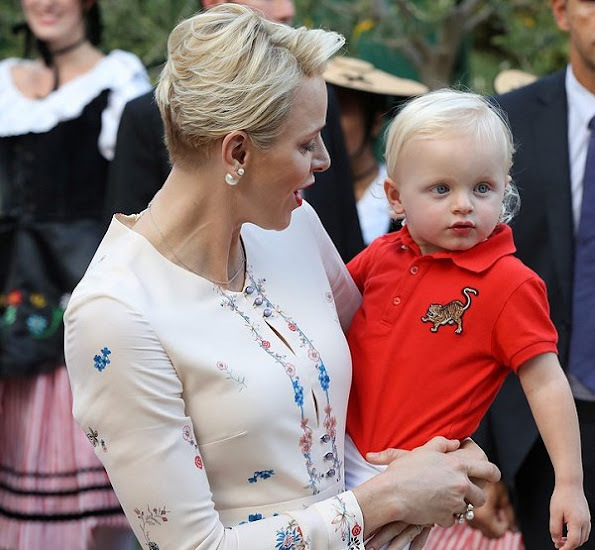 Princess Charlene brought Princess Gabriella to the picnic, but when she saw the crowd she started crying and wouldn't stop crying. 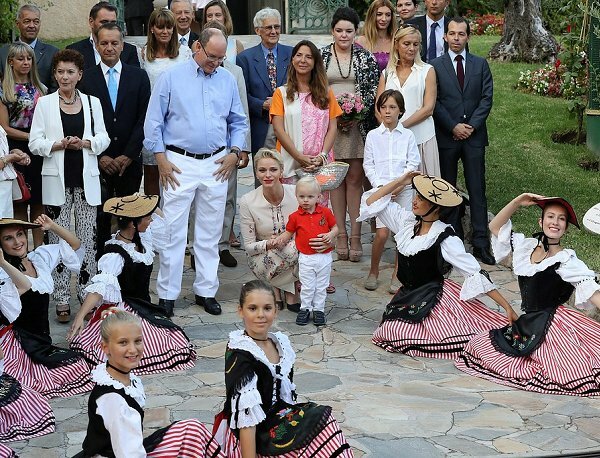 what a cute little boy, those blonde curls,are gorgeous, he will be a heart breaker one day, soo loved by both parents, mummy looks beautiful!! !